Should Churches Celebrate Mother’s Day? From the standpoint of the Church, I wonder if maybe we make too big of a deal out of Mother’s Day. Certainly, I am thankful for my mother and all that she did for me. I am amazed by my wife, Andrea, in how she is a great mother. Looking around the church and our communities, Mother’s Day can be a day of sorrow and loneliness too. I spoke with a seminary classmate- who is studying for an M.Div. and a leader in the church. She told me last week that she experienced four late term miscarriages and was never able to have children. As a Christian leader- she said it was extremely difficult to attend worship on Mother’s Day. As I looked around Church on Sunday- there are other women who are unable to have children- or maybe never married- or lost their children through some tragedy. I wonder as we elevate the role of mother in our churches if that feels like a slap in the face to those without children. I’m curious how Mother’s Day feels for a child of any age whose Mother was a lousy example of a mother. Maybe she was abusive or detatched emotionally. Mother’s Day then causes the child to think about what he/she never had in a mother. When it comes to worship, many Mother’s Day sermon become speeches about the virtues of motherhood rather than a proclamation of the Good News of Jesus. Many Mother’s Day sermon could be given at a civic organization without offending anyone because the emphasis is on mother’s rather than God’s redemptive work through Jesus Christ. I have to admit that I am more in the camp of Caryn Rivadeneira and Will Willamon that churches should be careful how we elevate Mother’s Day or any other special day. The focus of the church is to be about the worship of God. Our times of worship as a community are about praising God for what God has done in our lives through Jesus Christ- not about sentimentalism about our mothers. We need to make sure our worship is decidely Christian and not some cultural. How does your church celebrate/recognize Mother’s Day? Do we make too big of a deal about it? Not big enough? Talk it out in the comments below! 5 Responses to Should Churches Celebrate Mother’s Day? Mother's Day actually began because of a Methodist Church in Gafton, WV in 1908. It's funny because the woman who first implemented it in the church – Anna Jarvis – ended up despising it because it became commercialized (she even called it a Halmark holiday) and not a day to focus on honoring one's mother. 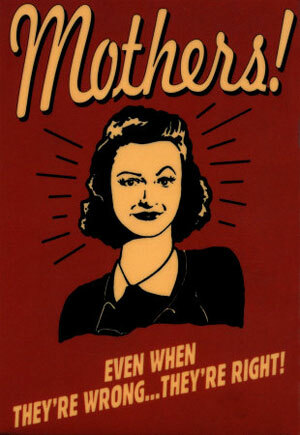 In terms of worship, I think it is completely appropriate to have a day where we honor mothers. Just as mothers hear the cry of a vulnerable child who has no means to care for itself, we are reminded of God' love and care for us, and that we too are to care, as mothers should, for those in the world who have no means to care for themselves. Sure, there will be individual responses due to personal histories, yet in a communal mindset, I usually find that people are able to understand past hurts in a new and encouraging light. And why do this only one day a year? Shouldn't it be a constant duty, especially since it is found in the Decalogue? Though it is something we should constantly practice, I am reminded of Sunday celebration itself. Every Sunday is an Easter. However, once a year we set time aside to celebrate Easter in a special way, focusing on the story and implications of this amazing day. We love and appreciate our mothers always, but on this one day a year, we can take a moment to celebrate God's placement of them in our lives, and what the implications of motherhood are for us. All that being said, I don't think the worship service then turns around to focus on mothers. The focus is still God. The content is still the Gospel. Sermons and songs don't celebrate mothers – they still celebrate God. But there is a place in worship to acknowledge on this day both mothers and what mothers teach us about God's care and how we should care for the world. As I said earlier, as mothers care for a child who is weak and without means of supplying necessities of life, so we should be reminded on this day that we too are to take this role in the world to those around us who are weak and without the means of supplying the necessities of life. How is this done properly in worship? I think it needs to be weighed out carefully. We tend to do it during the welcome and greeting time. After that, not much is mentioned about Mother's Day except possibly during the prayer time. But as a day in itself, I do not think the proper response of the church is to boycott or completely ignore Mothers Day. I think you are right. Yesterday, I had a woman tell me that she disliked Mothers Day because it reminded her of her abusive mother and the pain she went through as a child. But I also think that Christmas, Easter, Thanksgiving, Valentines Days can be the same way for people. So should we should the Church celebrate any holiday? Jonathan and Steven- thanks for the comments. I do think there celebrating Mother's Day needs not happen at the expense of the Gospel. I have been in places where Mother's Day/Father's Day/4th of July turns into sentimentalism rather than proclaiming the gospel through worship. Those days are great opportunities because of the amount of visitors present to share the gospel creatively and effectively. I have to agree that the 4th of July has become a larger problem than Mother's Day/Father's Day in many churches where I have worked. Patriotism overshadows the gospel and Kingdom values.